23.05.2016. Old Trafford, Manchester, England. Supersavers County Championship. Lancashire versus Surrey. 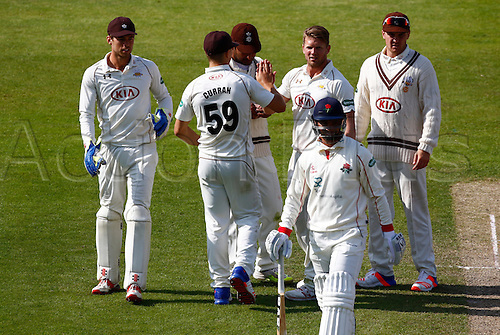 Surrey bowler Stuart Meaker celebrates with his team mates after he dismisses Lancashire batsman Alviro Petersen for 105.